Reedsburg is filled with great recreational events and activities year around. Whether you are an outdoor enthusiast or someone who takes a more leisurely approach to fun, you can find something to do in every season. If you enjoy nature and the great outdoors, you won’t want to miss a visit to our scenic “400” State Trail, which can be enjoyed as a hiking, cycling, horseback riding or snowmobiling trail. Along with that, we have a beautiful golf course, numerous city parks, great fishing and canoeing and a multitude of organized sporting events for both kids and adults alike. Join us in the spring for our annual Vet Fest run/walk, and in the summer for our Run for the Butter and Run from the Cops. 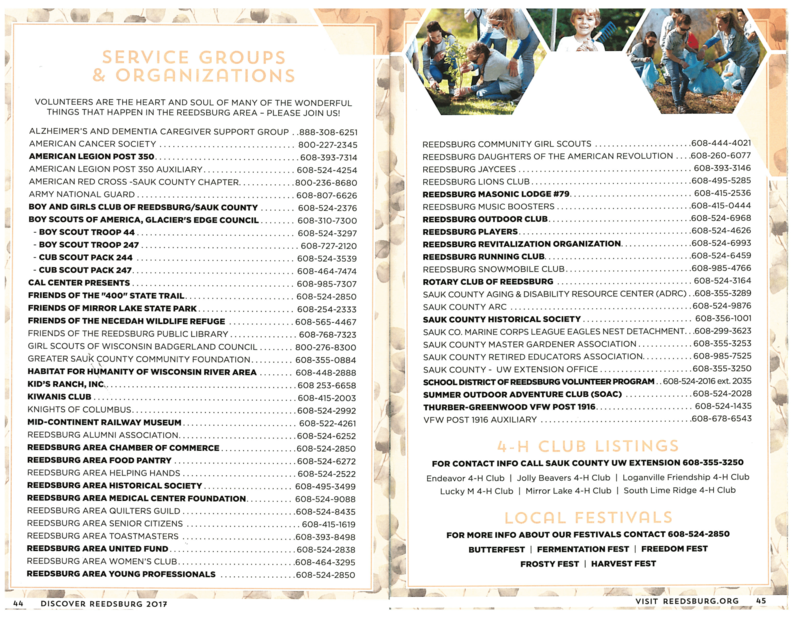 The City of Reedsburg Parks and Recreation Department also provides an outstanding mix of fun activities from t-ball to tennis, softball to soccer, swimming, volleyball, basketball and skating. The list is endless! If you would prefer to relax indoors out of the heat or the cold, Reedsburg’s Star Cinema multi-plex theater is the place to be! Located in the downtown district, the theater is walking distance to great shops and restaurants, so you can stay to watch a show or drop the kids off and enjoy a few hours of relaxation while you wait. Reedsburg also has a great bowling alley that accommodates both official teams as well as open bowling, and our Recreation Center provides a safe, supervised place for children in grades 5 – 12 to gather, relax and have fun. If you enjoy the performing arts, don’t miss a chance to see professional comedy acts, musicals, magicians, live bands and other great artists at our 600 seat CAL Center Auditorium. This state of the art venue will be sure to provide you with an evening of first class entertainment!